Something insidious implored me to do it; I had no idea why. My fingers of their own volition began to carefully type the address into the search bar. Do you really want to do this? My rational mind implored urgently. "Yes," I replied quietly. "I've got to. 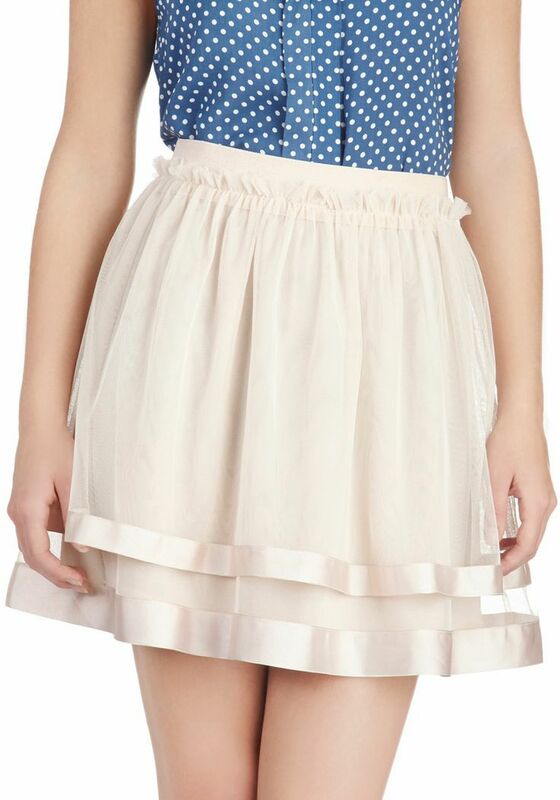 It's the only way... to get my fill of whimsical Peter Pan collars, feminine skirts, and cute dresses." "I'm stronger than I was back then." The site began to load, the colored beach ball accompanying my Mac's pointer spinning like some ominous cosmic pinwheel. But it was too late. 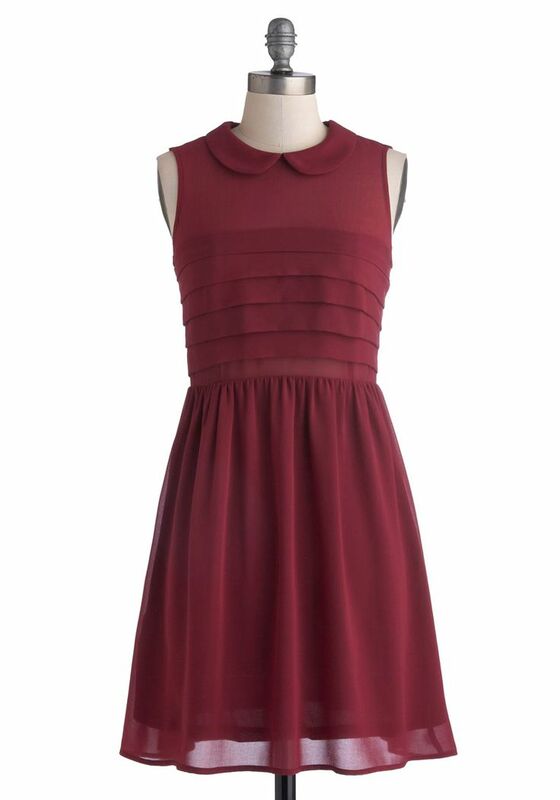 The site had loaded, and with that one last warning still echoing heedlessly in my ears, I was once again hopelessly entangled in the adorable fashion frenzy that is Modcloth. Below, I will chronicle the daunting struggles of my thought process whilst informing you all of many awesome pieces and trying not to give in to their siren cries. 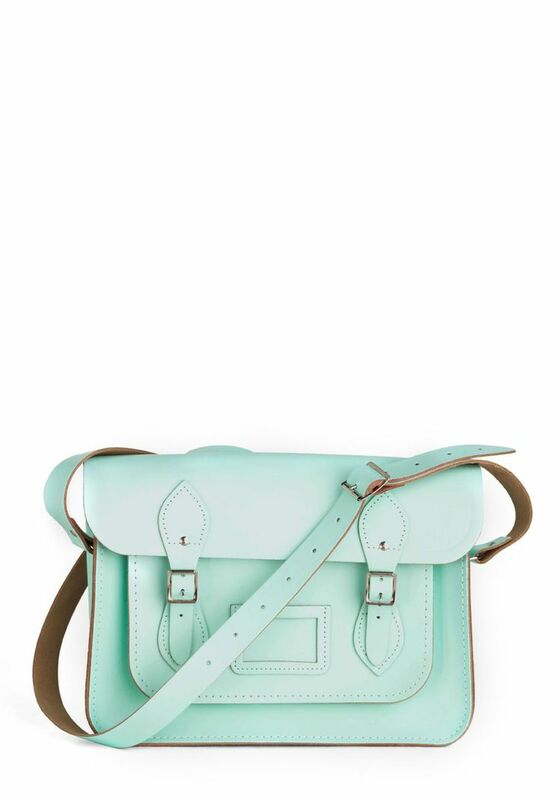 I love my black Cambridge Satchel, and I love the color mint. 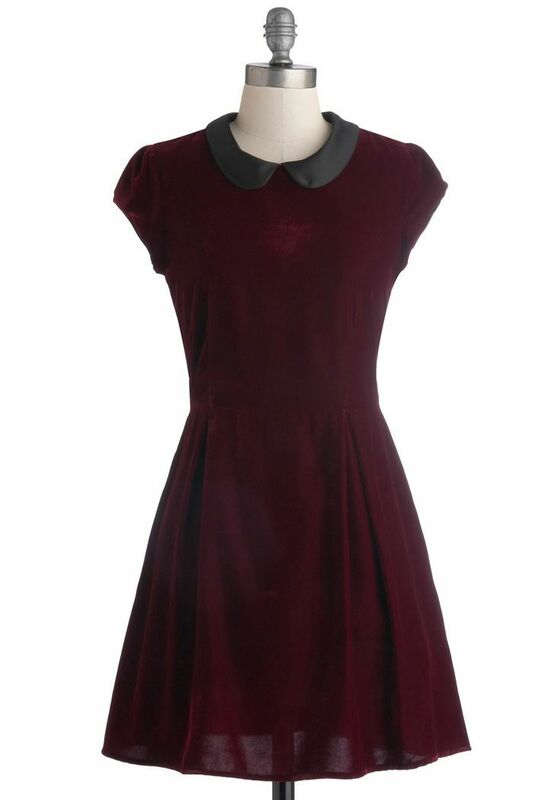 Burgundy and velvet and a Peter Pan collar, oh my! I kind of need this for fall/winter. Bass Weejuns? Yes. 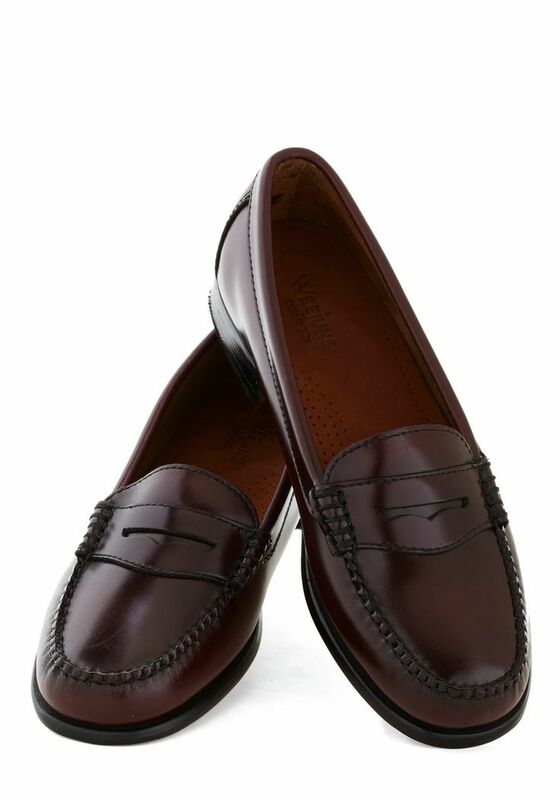 In Burgundy? Double yes. 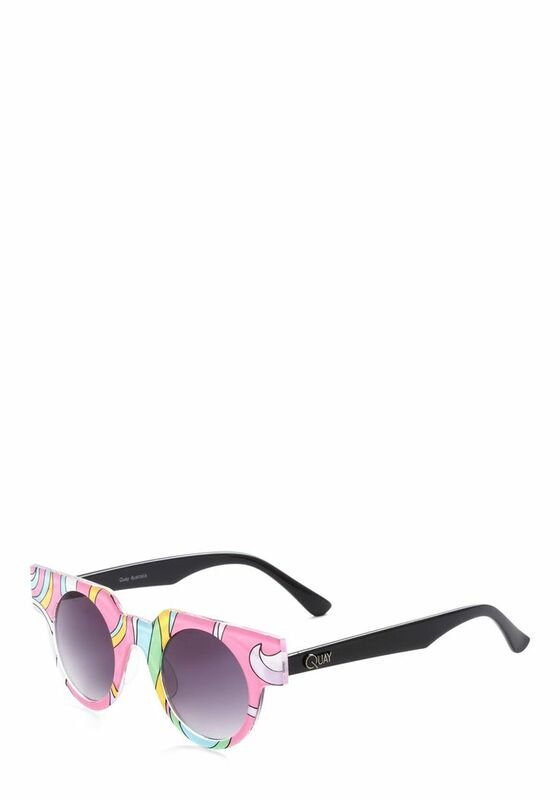 Can't forget a psychedelic pair of sunnies on those days when the sun's still shining (hello, California falls/winters). Leather and faux leather are always perennial favorites come fall and winter. Take the trend for a casual, fun spin with this crop top, which is a summer trend that for now seems to have some staying power. I simply adore skirts with tulle, or lace, or tulle and lace; I just don't have many because I don't know when I would wear them. 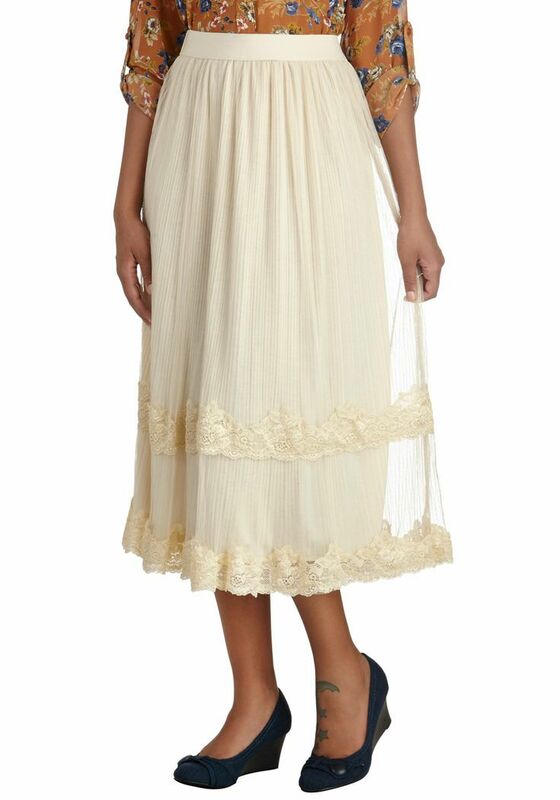 This one could be boho or more sophisticated/vintage-y, depending on the styling, and could even be a maxi skirt on a shorter gal. I mean, I'm just saying I could totally appreciate its versatility. 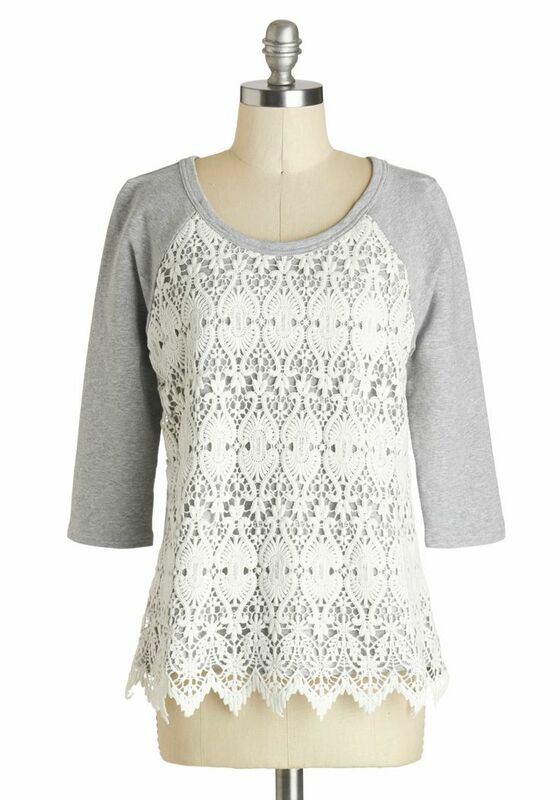 I love the crocheted lace on this raglan sweater! It seems to combine the more tomboy silhouette of a baseball raglan with artsy, delicate femininity, creating a perfectly quirky sweater. See above explanation on "skirts with tulle". Siren cries, I say. Siren cries. Dare I resist them...? Only time may tell.